It’s probably hard to believe now but once upon a time, Elvis Costello was a nine to five guy, living a very conventional life with a wife and a child and working in different administrative jobs as a data entry clerk. However, the English singer and songwriter persevered in composing and writing music until he was signed by the independent music label, Stiff Records. 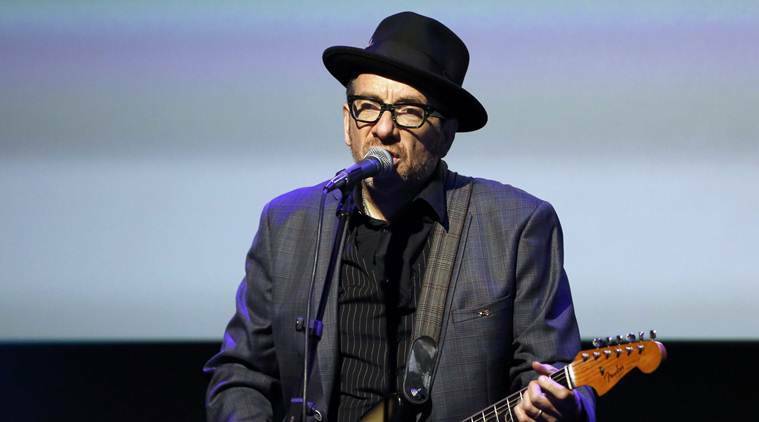 Elvis Costello’s style of music has been praised by critics and fans alike. The songbird combined the classier lyrics of new wave music with the inherent energy of punk which resulted in hit songs like Alison, (The Angels Wanna Wear My) Red Shoes, Veronica and Every Day I Write The Book. What many people don’t know is that ‘Elvis Costello’ is a stage name; the musician’s real name is Declan Patrick MacManus and he was born on the 25th of August 1954 at St Mary’s Hospital, London. His mother’s name is Lilian Alda and his father, Ross MacManus, was an expert with the jazz trumpet who performed with the famous Joe Loss Orchestra and also put up a solo cabaret act performance. Elvis Costello grew up in Twickenham where he attended Edmund’s Catholic Primary School Whitton and Archbishop Myers Secondary Modern R.C. Hounslow. Along with Allan Mayes, Elvis formed the folk duo known as ‘Rusty’. After he relocated with his mum to Birkenhead, Cheshire, the emerging singer went to St. Francis Xavier’s College in Liverpool to complete his education. He began work as a data entry clerk in some offices, notable among them was his time at Elizabeth Arden which he immortalized in the lyrics of one of his songs, I’m Not Angry as the “vanity factory”. Elvis was also employed at Midland Bank where he worked as a computer operator for a short while in their computer center located in Bootle. When he came back to London in 1974, Elvis Costello formed Flip City which was a pub rock band that only lasted two years before it eventually disbanded. Needless to say, the musician landed on his feet after the slow start to his music career. As part of the British punk and new wave movement, which took place in Britain from mid to late 1970s, the aspiring singer released his first album My Aim is True in 1977. He went ahead to form the band ‘Attractions’ after releasing his debut album. With the Attractions as his backup band, Elvis released his second album titled This Year’s Model in 1978. The next year, his third album Armed Forces debuted; the album included his hit single titled Oliver’s Army. Due to irreconcilable differences, Elvis and his other band members had to split up but most of his work as a solo artist over the years has been credited to the band. The music legend has won several awards and nominations which include a Grammy award and two nominations for the Brit Award for the Best British Male singer. The Attractions band got inducted into Rock and Roll Hall of Fame in 2003 and the next year, Elvis was ranked Number 80 on Rolling Stone’s list of the 100 Greatest Artists of All Time. Elvis Costello can as well be described as a musical legend. Over the years, the music icon has amassed the jaw-dropping sum of $60 million as his estimated net worth. His wealth is believed to have accrued through his singing career. The music icon has been married three times. In 1974, he got married to Mary Burgoyne and the couple has a son named Matthew. After the end of his first marriage, he started dating Cait O’Riordan, the bassist of the London-Irish group – The Pogues. The duo tied the knot in 1986 but called it quits by the end of 2002. Read Also: Phil Collins Daughter, Wife, Son, Height, Net Worth, Is He Gay? In 2003, Elvis’ got engaged to Pianist and vocalist Diana Krall and on the 6th of December the same year, they got married in style at the residence of Elton John. On the 6th of December 2006, Diana gave birth to twin sons – Frank Harlan James and Dexter Henry Lorcan in New York City. The singer’s listed height is 1.78 m which is approximately 5 ft 83 in. He also weighs a commensurate 72 kg in body mass. The singer is in undeniable great shape for his age.